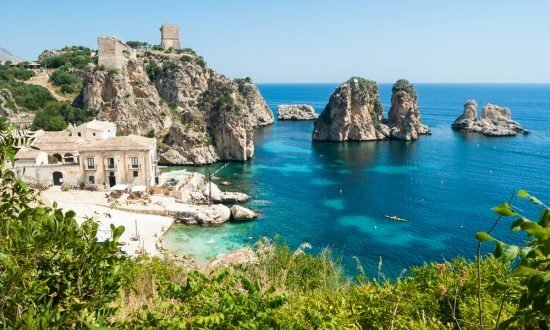 From rugged, mountainous terrain down to idyllic beaches and seaside towns, Sicily has it all – even an active volcano! 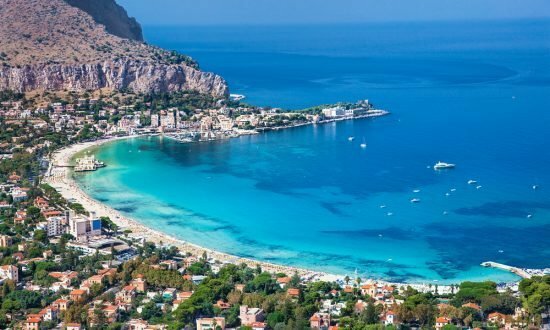 Sicily is the largest of the islands in Italy and is located right at the tip of Italy’s “toe” which is separated by the Strait of Messina. The island is rich in history and beautiful mountains and hills, making it an ideal destination for history buffs and sightseers alike. 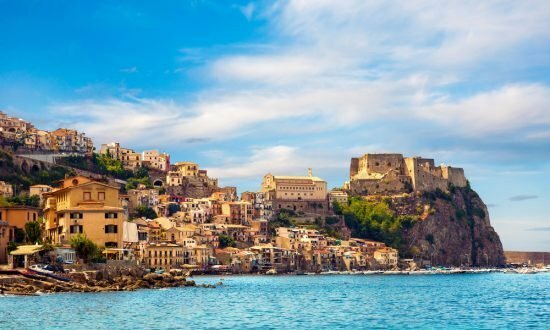 Visit Etna, Europe’s largest active volcano located on the eastern coast of Sicily, or perhaps visit the archaeological man-made forms of Agrigento, built in the early 14th century. Try pasta alla Norma, Sicily’s signature and historic pasta dish featuring eggplant, tomatoes, ricotta cheese, and basil. Citizens from countries outside the European Union, like the United States, are required to present a passport valid for at least three months beyond the intended stay in Italy. If you are traveling from the UK, you are entitled to buy fragrance, skincare, cosmetics, champagne, wine, selected spirits, fashion accessories, gifts and souvenirs – all at tax-free equivalent prices. If you are traveling from within the EU, there is no limit on the amount or value of goods you may import, providing your goods are for personal consumption. • Other goods up to the value of €430 for air and sea travelers and €300 for other travelers (reduced to €150 for children under 15). Cultural artifacts which are more than 50 years old must be accompanied by an export license. Travelers to Italy should be up-to-date on routine vaccinations. No specific vaccinations are required to enter Italy, but some travelers in special circumstances should consider being vaccinated for Hepatitis A, Hepatitis B, and Rabies. Most food and water is of similar quality to that found in the United States. Do not approach or touch stray animals. Credit Cards: All major U.S. credit cards – American Express, Visa, MasterCard and, to a growing extent, Discover, enjoy wide acceptance in most parts of Europe. 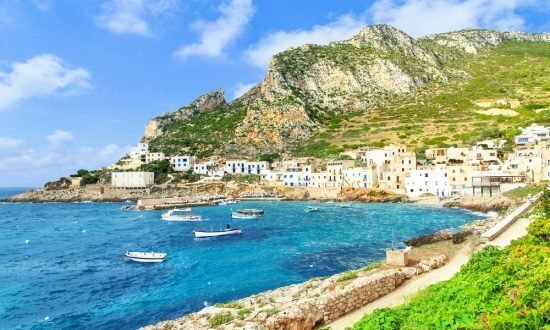 Sicily sits perfectly in the Mediterranean climate zone, giving it classic Mediterranean weather – hot, dry summers and short, wet winters. Temperatures often reach the 90s (Fahrenheit) during the summer, settling somewhere around 80 as an average. The coolest month, January, hardly ever sees temperatures lower than 50 degrees. There is two airports in the area of the marina, both about a two hour commute to the base. Reggio Calabria Airport requires a drive and a ride on the Villa San Giovanni-Messina ferry. Taxis and other transportation are available at the airport. The other airport is the Catania–Fontanarossa Airport or also known as the Vincenzo Bellini Airport. It is an international airport 2.3 NM southwest of Catania, the second largest city on the Italian island of Sicily. For a fast, easy and comfortable journey we highly recommend transfer reservations. Transfers are not included in the charter price. The closest airports to our base are Catania (and Reggio Calabria), about two hours, while it takes about three hours from Palermo. For further details or transfer reservations please contact your agency or our office. If you wish to travel by train, all timetables and fares can be checked on www.trenitalia.com. If coming by car, it is possible to park inside the village of Portorosa. There are many restaurants nearby the complex that feature italian cuisine with fresh ingredients. There is a grocery store located within the marina called SuperMarket Quattrocchi Carmelina. There is also a boating supplies shop also located within the marina.